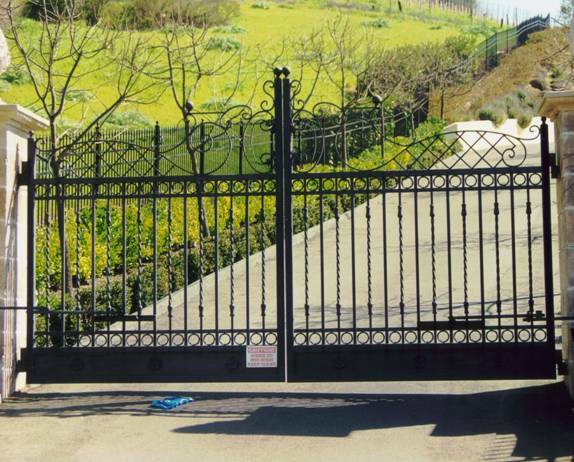 R & S is the Bay Area’s top provider of service and installation of gate operators and access systems! We would like to provide you with an automatic wrought iron gate and fence system that will provide you with years of reliable, low maintenance service. Our gates are constructed on a 2″x2″ tubular steel frame, with 1″x 2″ horizontal channels and 5/8″ tubular steel pickets set 6″ on center. We have a large selection of spear top designs, intermediate scroll designs, and alphabetical letters to choose from, or we can custom design a family crest to integrate into your gate design. Whether it be manually operated or fully automated R&S is your one stop Gate shop!